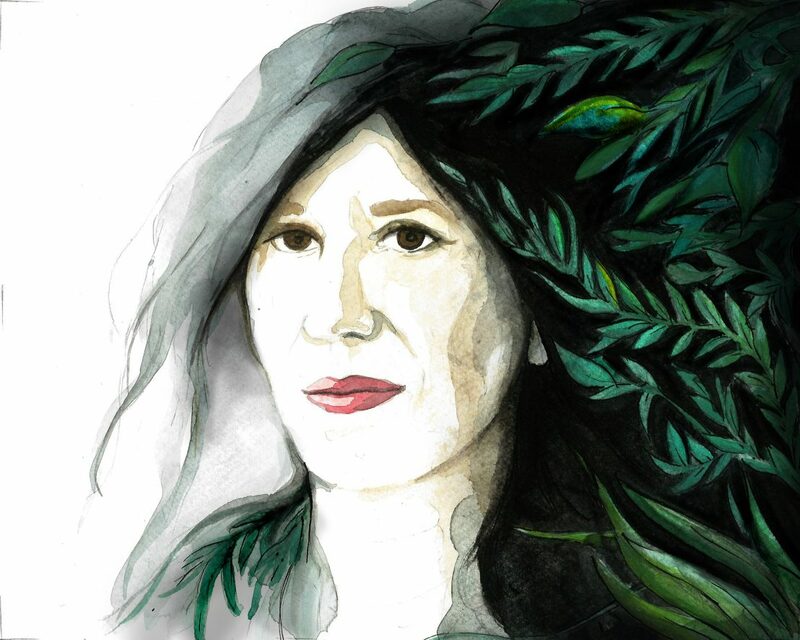 The American writer/director Debra is not someone who punches out movies at a rate of knots: she slow-cooks them, and delivers them only when they’re good and ready. 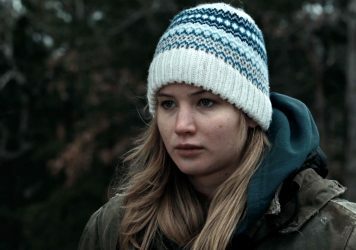 It has been the best part of a decade since she introduced the world to Jennifer Lawrence in Winter’s Bone, a shocking portrait of hardscrabble lives and systemic abuse in Appalachia. 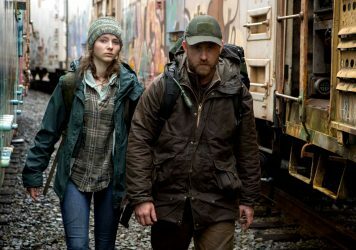 With documentary Stray Dog, about a puppy-loving biker, released in 2014, she’s back with a new fiction feature, Leave No Trace, about a father and daughter attempting to life a life disconnected from the grid. Will, played by Ben Foster has set up a tiny idyll in a public park in which he lives with his teenage daughter, Tom (Thomasin McKenzie). The film charts their journey after they are moved on by authorities and Will remains determined to achieve a personal dream of total freedom and isolation. LWLies: Have you ever had any personal experiences living outside the system? Is it a notion that appeals to you? Granik: I’m very interested in it, though I’ve never done it. I admire people who do it. I’m curious as to how they make it work. I want to know the decisions behind their choice to breach or separate. A lot of tenets of why people do it are view attractive to me. I’m not usually drawn to ideas of extreme survivalism that requires a militia to be associated with it. That stuff brings up despairing thoughts. I’m interested in the idea that people can make this powerful decision. For example, this vibrating, amplified chatter of the digital world is impacting my ability to think my own thoughts. I love the strength of character of someone that chooses to be apart from that. Why do they have that special insight into themselves? Or how are they okay with making a decision that goes against the grain? The film says a lot, indirectly, about the people who are obsessed with this digital space. It sometimes makes me thinks about that story of the emperor who had no clothes. I love that character who finally calls it out. There’s someone who dares to tell the truth. I’ve always been attracted to whistle blowers – the person who finally decides to say it. They are treasured people. That’s interesting, as the character of Will is presented in a very objective way. You neither endorse nor discourage what he’s doing. I don’t know whether what he’s doing is good. It’s hard from him. He lives in the wet and the damp. And it’s untenable as he has set up camp on public land. Not that I’m like, ‘no, no, no.’. It’s more like there’s no way to sanction what he does. At any time, he can be ejected from that park. It makes me wonder: to chose to live an alternative lifestyle, you really have to have a special ticket to do so. You have to have financial resources to chose your lifestyle. Like everything, you need resource to say you want to life without resource. I didn’t feel like I could adjudicate. But I wanted to use a warm-hearted, anthropological approach rather than coldly scientific. It was all about observing. I’m trying to see how rather than whether something is good or bad. The definition of freedom in America is a hot-button discussion point right now. Do you think the film offers its own definition of what it means to seek freedom? He could feel like he’s free in that park, but he’s not free of his night terrors. Even in that idyllic situation. His search is to create a significant hedge of protection from that which alienates him, like consumer and digital culture. It asks: how much serenity could a person create for themselves? They enjoy books, they enjoy knowledge, the enjoy learning skills, honing those skills. In those actions, there’s freedom of how they spend their time. He is really marked by an experience, which is his soldiering. And we have platitudes for that: you can run but you can’t hide. Meaning that somethings he can’t offload. There’s a ghost in there who he lives with. The presence of his daughter, Tom, is presented as both a blessing and a curse. It’s interesting to see such an ambivalent portrait of family. Does a family prevent us from achieving ultimate freedom? She drives meaning in his life. Being her teacher is important to him. She grounds him in an important way – she protects him from a solitude that can close in on him. It’s a companionship that does work. It puts him, in the logistical sense, at the constant risk of exposure. Travelling with a minor makes you more visible. It makes people more concerned about you. You are more reachable by the law. Which dictates that the welfare state will have an important relationship to children. So yes, it’s a double-edged thing. It is an impediment for him doing only what he wants. To be a decent person, he has to take into consideration her desires, her assertion of will. He doesn’t want to squash her at all. He wants to instil his way of life in her. Where do you feel that Will sits on the political spectrum? He has become an opt-outer. He’s alienated. He’s definitely not centrist, as he’d be living in a more traditional way. I would say that he is someone who aligns himself with easier theorists and philosophers. In the book [‘My Abandonment’ by Peter Rock, upon which this is based] he quoted Henry David Thoreau and Walden. How little can I exist on and remain sane? How can my thoughts go to higher places? It was interested to me that the advent of the telegraph occurred when Thoreau was trying to extricate himself. The first telegram came through and it said that Princess Anne of Belgium has just had a birthday. Something he never needed to know. Come the world wars, of course vital information is being exchanged. Will is in that tradition. He’s asking a lot of questions about the meaning of his life. He’s trying to discern the difference between want and need. He feels a lot of worth and competency by being able to achieve primitive skills. Mastery over the important hierarchy of needs, being able to provide food and shelter. Not sewing your own buckskin, but knowing what you need. He was trying to simplify, which gives more room to appreciate other things. Unlike far right separatists, Will seems like someone who has no interest in bringing people towards his cause. There’s a beautiful documentary about this subject called Soldiers in Hiding which was made by a British crew in the mid-’80s. It’s on YouTube. And it shows about 11 variations of Will. There were families who would have one member who was living alone, undetected and he would come back for a certain amount of time, and they would leave him food in a bag. Some of them felt very permanently unable to rebalance, or participate in any normative functions at all. This documentary is a very beautiful set of portraits I think. Do you think there’s a post-apocalyptic feel to Leave No Trace? Some people have noted that, but I was very much trying to tell a story in the here and now. There doesn’t need to be an apocalypse for someone to operate differently. When in the process of making the film was Donald Trump elected? Did it have any effect on what you were doing? It absolutely did. I guess it happened when we were working on the last draft. I think where it played out the most is just that I had a desire to see people being good to one another. I started to live with this notion that if people can be bad to one another, they will. I don’t know if that was Trump plus the internet or fake news or any of that. It’s the idea that many find it pleasurable to lend a hand or help someone else out – I started to be very happy in the research of the film when I discovered this to be true. Leave No Trace is released 22 June. Read the LWLies Recommends review.